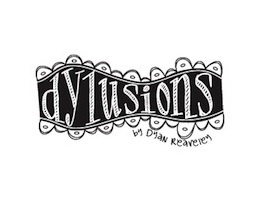 Dyan Reaveley SAY IT HOW IT IS Cling Stamp Set Dylusions DYR37774 at Simon Says STAMP! DYR37774 / 3.2 This item is on reserve until If you would like to reserve this item now, you may purchase it now with the rest of your order. We will hold your order now and ship your entire order as soon as this item is back into stock. If you would like your order to ship now, please place this item on a separate order. Success, Dyan Reaveley SAY IT HOW IT IS Cling Stamp Set Dylusions DYR37774 has been shared! "I don't like morning people...Or mornings..or people! ", "I am currently unsupervised...the possibilities are endless! ", "Out of the way...I have my sassy britches on! ", "I am exhausted by how stupid everyone is getting", "You would think that with all your multiple personalities, at least one would be likeable", "I'm not arguing...I'm just explaining why I'm right! ", "You are about to exceed the limits of my medication", "Mostly I just sit around all day being fabulous", "Honey I have heels higher than your standards", "Cleaning.?? I just sweep the room with a glance..."